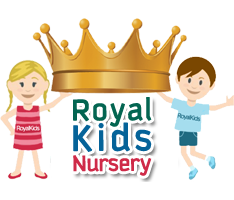 Royal Kids Nursery is an inclusive nursery – we open our arms to children from all over the world, who speak different languages and have different abilities. Our full day and year round program suit the need of parents, while providing their precious child an environment where they can. At Royal Kids Nursery we focus not only on ‘learning’ and not only on ‘play’; instead we focus on ‘learning through play’. Children will surely enjoy activities such as Music and Dance, Arts and Crafts, Junior Yoga, Story Time, Dress up Days, Puppet Show and many more.